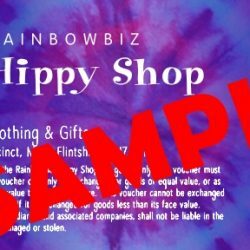 RainbowBiz Hippy Shop reserve the right to deny shipping to any customer for any reason. 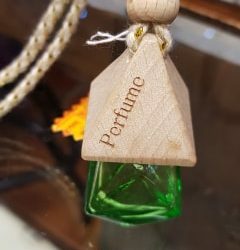 If an order has been placed and we wish to deny shipping we will make a full refund to you (the customer) at our earliest convenience (usually the same day, not including bank holidays and weekends). This is no way affects your statutory rights. If you (the customer) place an order by mistake or decided that for any reason you would like to cancel your order you can only do so until the order has been shipped. Once the order is in transit then no refunds can be issued. We accept all major cards, Paypal and BACS as secure methods of payment. In each case the payment is not made on our website but you are taken to the secure website of the chosen payment method where you can make payment in a secure online environment. We can also accept payment by cheque, but require cleared funds before goods can be shipped. The shipping address is the address given by you (the customer) to us (RainbowBiz Hippy Shop) on the checkout screen before proceeding to the secure payment screen. We will only ship to the shipping address you provide on our website before proceeding to the secure payment screen. 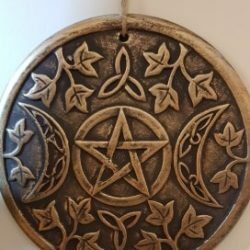 It is your (the customers) responsibility to provide the correct shipping address details so we (RainbowBiz Hippy Shop) can send your item/s to the correct shipping address. RainbowBiz Hippy Shop take no responsibility for any wrong information given and any lost or delayed mail that may arise as a consequence. All our items are shipped Royal Mail 2nd Class unless otherwise requested by our customers. The Royal Mail try and deliver 2nd Class mail within 3 working days (not including the dispatch date) however this time may be longer and can be up to 15 working days as stated by the Royal Mail. 2nd class mail is not time guaranteed this means that the Royal Mail do not guarantee your items will reach you in a set number of days. If you would like a guaranteed service then please contact us with regards to special delivery. Due to unforeseen circumstances shipping times may vary from that advertised. Most customers report receiving their orders within the 3 working days stated by the Royal Mail after and not including the dispatch date (excluding bank holidays and weekends) but this is subject to The Royal Mail sorting and posting times. RainbowBiz Hippy Shop cannot be held responsible for delayed items as delivery times are subject to the Royal Mails own delivery times. In line with the Royal Mails own missing items policy RainbowBiz Hippy Shop do not regard an item missing until after 15 working days have passed from the date of posting (not including the date of postage). This period of time is made up of 3 working days for expected delivery and 12 working days for delayed delivery. Generally mail very rarely goes missing and any mail that does go missing is investigated fully by us as we take missing mail very seriously. We ask our customers to be patient if they are waiting for items to be delivered. We have no control over the Royal Mails delivery times and can only tell our customers what they tell us. Thankfully its very rare items are delayed or go missing, they normally turn up in good time or as an extreme before the end of the 18 working day period. Please see the Royal Mail website for full details on their lost mail time period by clicking here. Working days are Tuesday-Friday not including bank holidays. Please see the Royal Mails website for more information on this by clicking here. RainbowBiz Hippy Shop have tired to make sure all displayed shipping prices and product prices are correct. 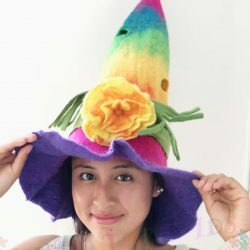 If for what ever reason either the product price or shipping price is wrong (due to human or technical error) then we (RainbowBiz Hippy Shop) reserve the right to cancel any order and amend any wrong information. The customer can then proceed with a new order if they wish. RainbowBiz Hippy Shop sell many unique items of clothing. If you purchase an item of clothing that has run out of stock you will receive an email from us (RainbowBiz Hippy Shop) explaining the situation. Either a replacement item can supplement the missing item or a refund can be issued upon your (the customer) request. If you request us to send any items via special next day delivery or 1st class these postage charges are non refundable for any reason after the items have been dispatched. Special delivery does not include Saturday as a next day. This service cost more and is not offered by RainbowBiz Hippy Shop. From time to time RainbowBiz Hippy Shop may choose to use couriers other than the Royal Mail for delivery of goods. At such times you will be notified by email of the company who will be delivery your items. The RainbowBiz Hippy Shop trades from its retail premises at the Hippy Shop, 8 Daniel Owen Precinct, Mold, Flintshire, CH7 1AP. 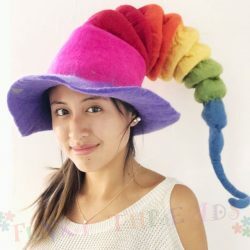 Customers wishing to return items to RainbowBiz Hippy Shop must first email us and wait for a response. RainbowBiz Hippy Shop is not registered for VAT.